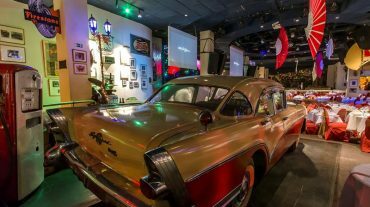 Cuban cabaret with more than seven decades, known as Paradise under the stars, breaks with the traditional schemes and is located outdoors in a wooded area. Was built in 1939 on the former grounds of the Villa Mina estate, in the Marianao area, Playa Municipality, Havana. In 1940 he adopted the current name when the choreographer and director of shows Sergio Orta suggested it, inspired by the homonymous melody of the composer and flutist Alfredo Brito, released in the same place. From the dawn of the century to the entrance of the Marianao Habanero municipality and bordering the Zanja-Marianao railway line, we find Villa Mina, a beautiful suburban property owned by Regino Truffin, surrounded by a luxuriant tropical forest and a dream setting for a cabaret that is All a legend in the history of the musical spectacles of the world and one day it was called "the most attractive and sumptuous night club in the world"; We refer to the mythical cabana Tropicana. 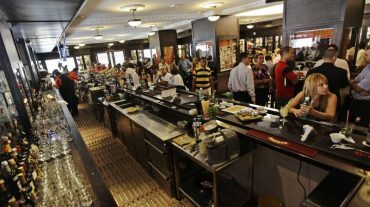 At the end of the decade of the 30, Mina Pérez Chaumont, widow of Truffín decides the lease of the property to a group of businessmen headed by Victor de Correa who wanted to mount a night club. The choreographer and director of shows Sergio Orta is the one who suggests the name of Tropicana, inspired by the homonymous melody of Cuban composer and flutist Alfredo Brito, released in the same place and with this denomination is that it is made known from the festivities of End of year in 1940; Just a year ago the young boite de nuit had opened its doors the same night of San Silvestre. Correa, knowing the turn for having had similar businesses, manages to make that opening a success; Even his wife, the teresita tonadillera of Spain, figured as an attraction in the first shows that were presented there. Tropicana quickly wins the favor of the most select and wealthy. The enchantment of the Cuban night, its starry firmament, the lukewarm moon of the tropics, the hot and languishing music, those dazzling women (the best of Cuban mulatto, so it has been recognized) and the lush garden gave the visitor the sensation of being In an unreal world of exotic splendor. The presentation of the music magazine Congo-Pantera would be a milestone during the decade of the 40's. Seeding the panther hunting in Africa was linked for the first time to the surrounding vegetation, dancers appear among the rich foliage of plants, The use of light on them becomes important and the own panther played by Tania Leskova burst before everyone descending from a majestic tree. The director of this production was David Litchin, who came along with the Leskova of the celebrated Russian Ballet of Montecarlo. 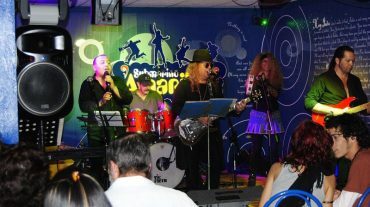 This time also had the participation of the famous Cuban musician Chano Pozo. The artistic contribution of popular foreign figures such as Josephine Baker, Tongolele, Xavier Cugat and Los Chavales of Spain did not wait either. The same would happen with Cubans no less famous, such is the case of Rita Montaner "the only one," Ignatius Villa "snowball" and Alfredo Brito himself. On the other hand already Tropicana was known like "most beautiful casino of the world", later "Montecarlo of the Americas". At the end of the decade of the 40 appears in the field Martín Fox, bolitero * coming from the interior of the country, they called him "the guajiro Fox". As people born and raised inland worshiped vegetation becoming their most zealous caretaker, had no preparation but with boldness and strong relationships with the most solvent groups. These conditions caused that in a few years detritus to Victor of Correa and that next to Alberto Ardura and Oscar Echemendía conformed the trilogy business that would make Tropicana one of the most famous cabarets in the world.